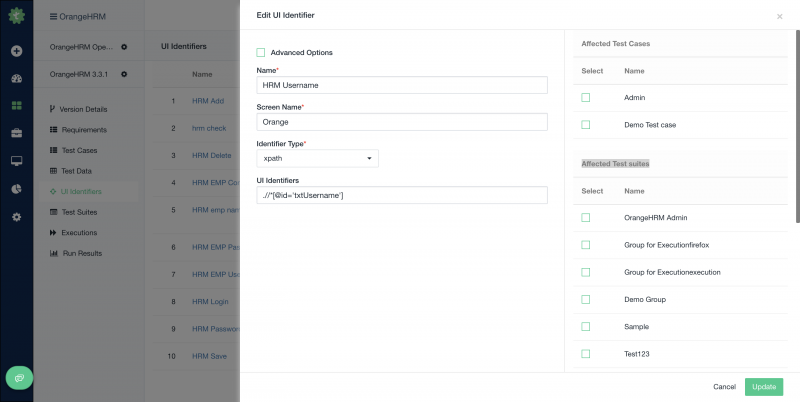 Testsigma requires near zero initial setup time, cost and ramp up time. 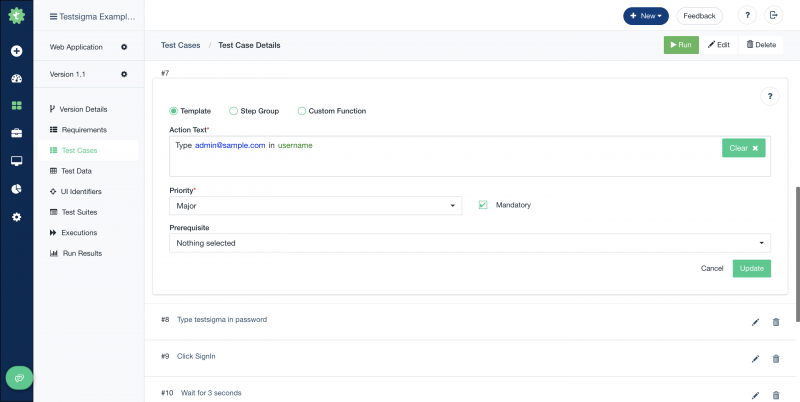 Simplicity in Testsigma enables everyone to write automated tests 5X faster using natural language, run tests on thousands of devices available on cloud. The AI features suggest improvements in test plans to include relevant or affected test cases, uses dynamic locator strategy to save maintenance time and efforts by 70%. 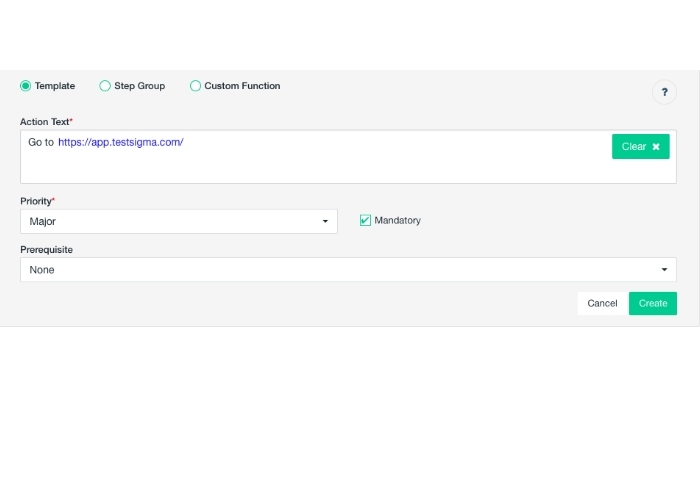 With Testsigma users can see ROI right from the beginning, instead of years. 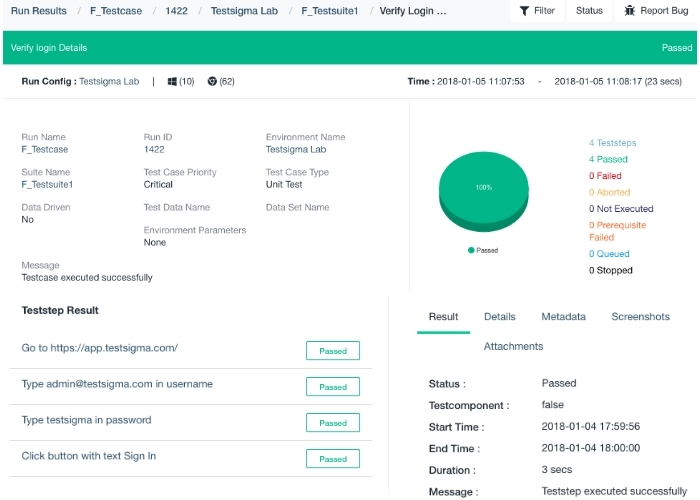 Using AI, Testsigma helps you identify all relevant test cases to be included as part of your test plan. 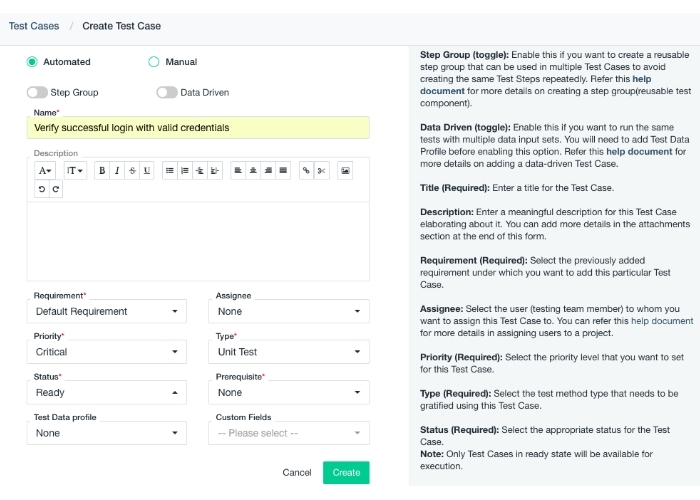 Automation testing tool with inbuilt Test Management module to create and execute a better test plan for manual and automation testing to maximize test coverage in less time. 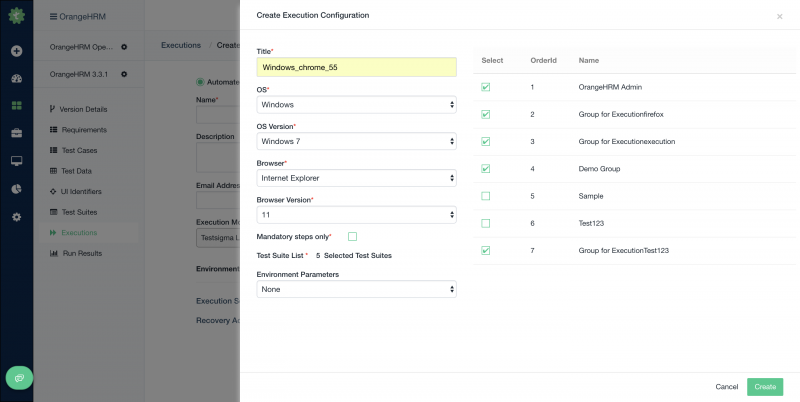 Say goodbye to your test lab with devices and internal Selenium grid. Run tests simultaneously on thousands of devices available on the cloud. Generate a custom report with the information relevant to you. Keep an eye on your automation testing progress and trend to take proactive action if required. 1. 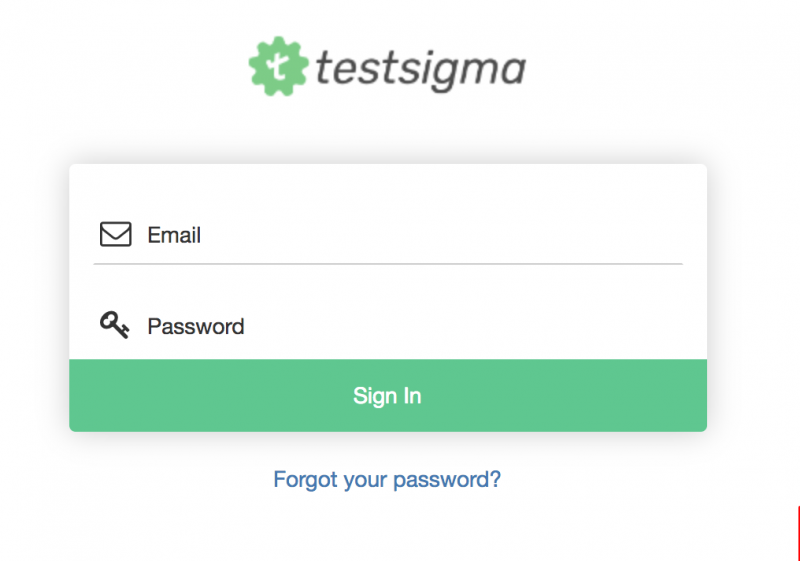 Click on https://testsigma.com/signup to create free trial account. 2. Login to the tool using credentials received to your registered email address. 3. 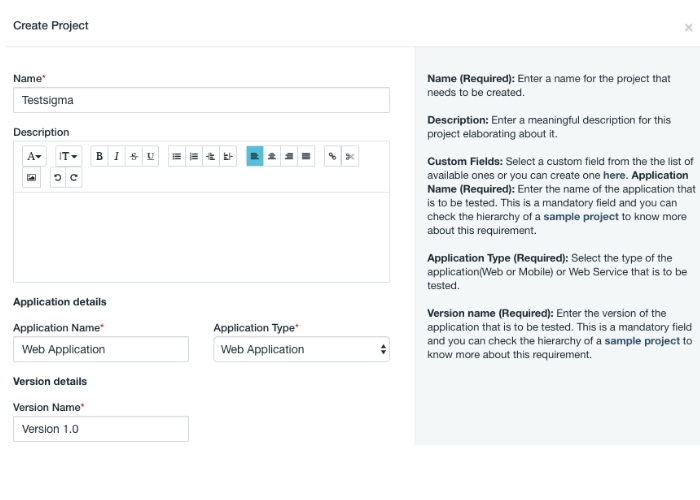 Create a Project to start writing automated test cases. 6. 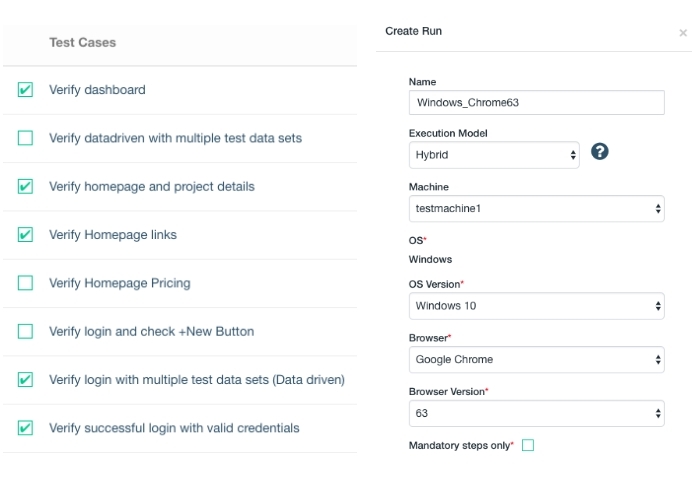 Run test case across multiple browsers, operating systems and devices.